Here are some pictures of the work we've done so far. 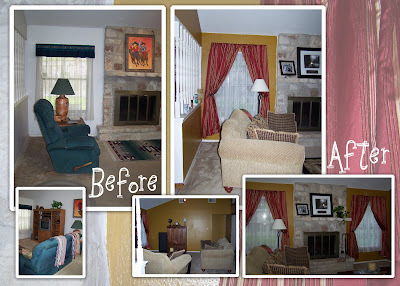 The before pictures are from when we first looked at the house, so it is the previous homeowners furniture and decorating style. 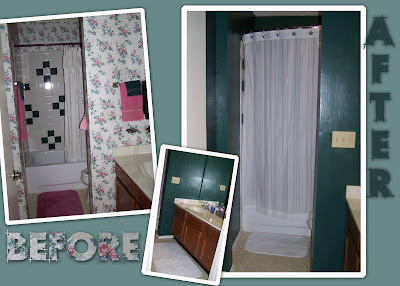 We like color and had no problem painting over white walls...removing the wallpaper proved to be a little more challenging. We got it all done in a week. We still need to hang pictures, put out final decorations and put the hardware in the bathroom but it feels more like home already. We do plan on painting more but not for a little while.